Something happened between the Stone Age and today. The number of humans walking the earth has more than tripled, and now some of us find ourselves living in cramped or small spaces. With the limited surface area around us, we are then faced with the problem of finding pieces of furniture to complement our homes. The dining table is something we all need in our homes. Just because, doesn’t mean you no longer need a dining table. You’d be delighted to know that there are many types of tables out there which have been designed specifically for small living spaces. A lot of prayers have been answered with extendable tables. Simply put, these tables are adjustable…the table top is actually divided into two. If you have a lot of visitors coming over, just pull the table top apart then you can add an extra plank of wood or leaf in the middle, extend the legs to each side as well and voila! More space for plates as well as chairs. The extra leaf can also be stored easily within reach; under the table top when not in use. These extendable and foldable tables can also function as your work area. You’ll find some with tiny drawers going down along the sides, where you can store the stuff you need for your hobby or whatnot. If you plan to have a foldable table made, it’s best if the color matches that of your wall. This gives the illusion of continuity, as if the table was an appendage of the wall. This makes your room look more spacious than it really is. 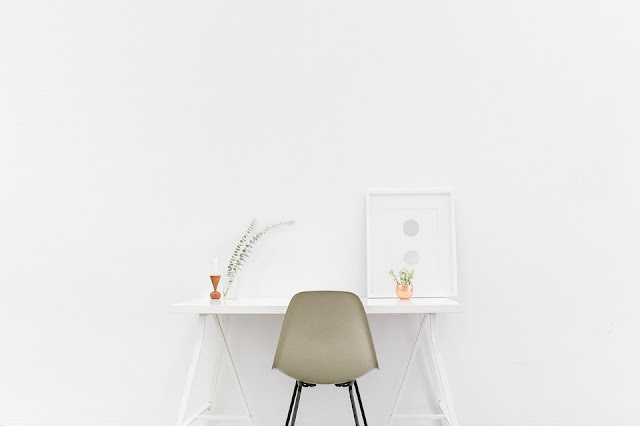 Having small spaces or living areas are not so much a liability, as it is a chance to challenge yourself into being creative. Find an extendable table to fit your needs, and you’ll feel like you’ve just struck gold. 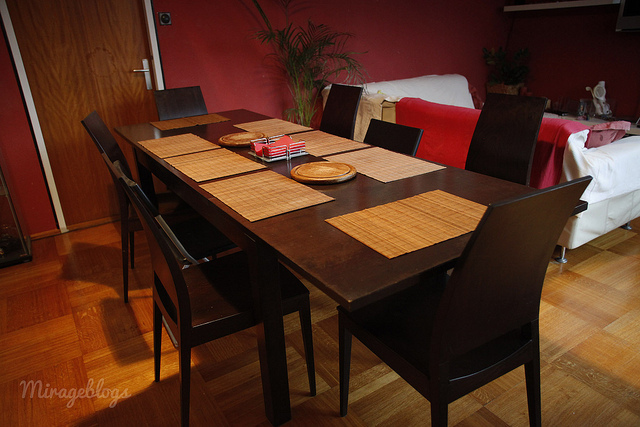 Image above: Our dining table, usually for 6 people but could be extended for 8-10.